THE Ndola High Court on Friday sentenced five men and two women to death by hanging for murdering Senior Chief Tafuna and his subject in Mpulungu following a succession dispute. Chipampe Sikazwe, the uncle of Presidential Affairs Minister Freedom Sikazwe led a rebellion that killed Chief Tafuna. 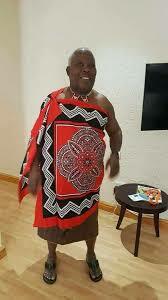 Sikazwe installed himself as Acting Chief Tafuna. Judge Yvonne Chembe yesterday sentenced Chipampe Sikazwe, and his co-conspirators;Clement Yambayamba, Israel Sikazwe, Arnold Kaite, Mathews Chabala, Anita Namwinga and Maureen Namwinga to death after finding them guilty of murder. The seven were also sentenced to 20 years imprisonment each for attempted murder. They were each facing two counts of murder and one count of attempted murder.